Living at the GLC at Donaldson Brown encourages and strengthens the community of graduate and professional residents through planned events, resources for support and housing services. Residents at the GLC at Donaldson Brown allows graduate students the opportunity to live on campus while completing their graduate degree. The unique living experience at the GLC is unparalleled, and reflects the diversity of the Virginia Tech graduate school community. Learn more about the services that living in the GLC can offer you! Learn about the options for living on-campus as a graduate or professional student. 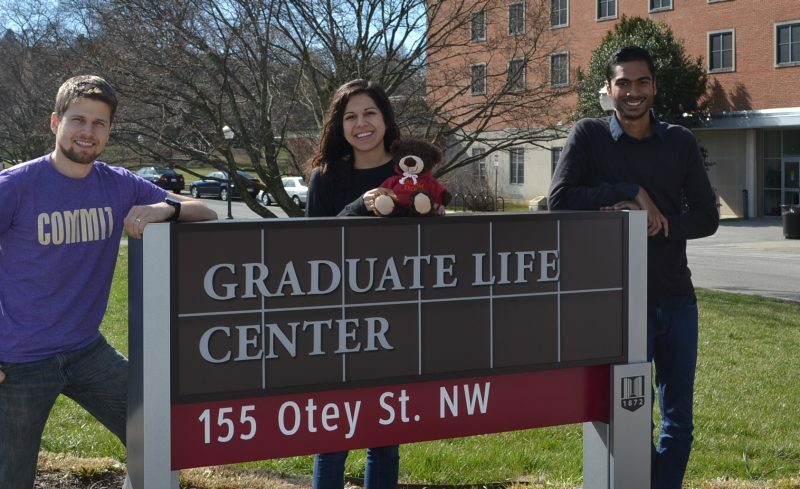 The GLC Fellows support the graduate student community by serving as residential advisors for GLC residents, building community through programming and event planning, and providing resources for all graduate students. Akhil Infant - "Living at the GLC showcases the complete graduate experience through the cultural and intellectual diversity present in the community. Staying in such a cooperative environment helped me settle in quickly and made sure that there is always something new to do or someone to get to know."